Very low freeboard forward, which would result in a very wet ship. Images not appearing. Getting 404 errors. I'm not seeing the map, flag and ship images. Here's a Spruance bows on with the added bonus of a Tico next to it. 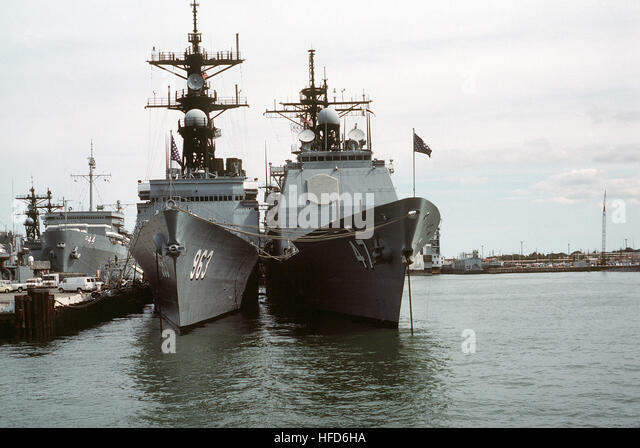 Those are in fact USS Spruance DD-963 and USS Ticonderoga CG-47. Forum: Beginners Only Topic: some ships for a AU i'm making. Looks good to me. Just remember the NON-retractable landing gear before finalizing.